In last week’s science club we discussed the properties of light. 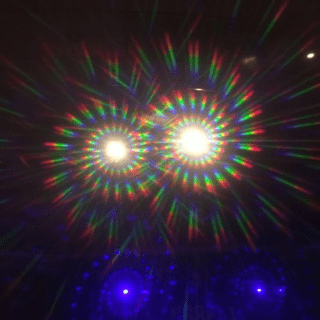 The children donned a pair of diffraction glasses to look at the visible spectrum colours of light (Red, Orange, Yellow, Green, Blue, Indigo and Violet). We discussed how these colours travel in wavelengths and at different frequencies. To imitate this, we all did a bit of wiggling ourselves. We also looked at how white light disperses as we move away from the source and we contrasted this with a laser beam, which remains constant. Next, we discussed light waves that are invisible to us such as Infra-red, Ultra Violet and X-Rays. Using a fluorescein solution and a UV light, we got to examine UV light and I explained how fluorescence works. To help the children understand this we all became detectives to identify some counterfeit Fizz Pop Science money using some UV light pens to find fluorescent marks. We ended the session by making a UV bead bracelet/bag accessory, which will change colour when exposed to UV light, i.e. sunlight.